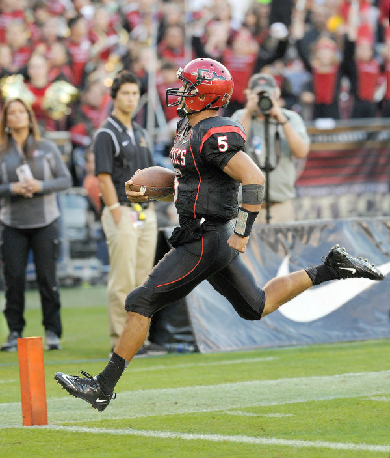 Former San Diego State quarterback and ‘Aztec For Life’ Ryan Katz has been signed by the Denver Broncos. The 6-foot-1, 210 pound quarterback went undrafted, but was quickly signed by Denver as an undrafted free agent. After transferring to SDSU from Oregon State, Katz had an impressive 2012 campaign but had his season cut short due to an ankle injury. He will now compete for a roster spot and ultimately a chance to learn under perennial All-Pro quarterback Peyton Manning. to afford to tide over till the subsequent paycheck.